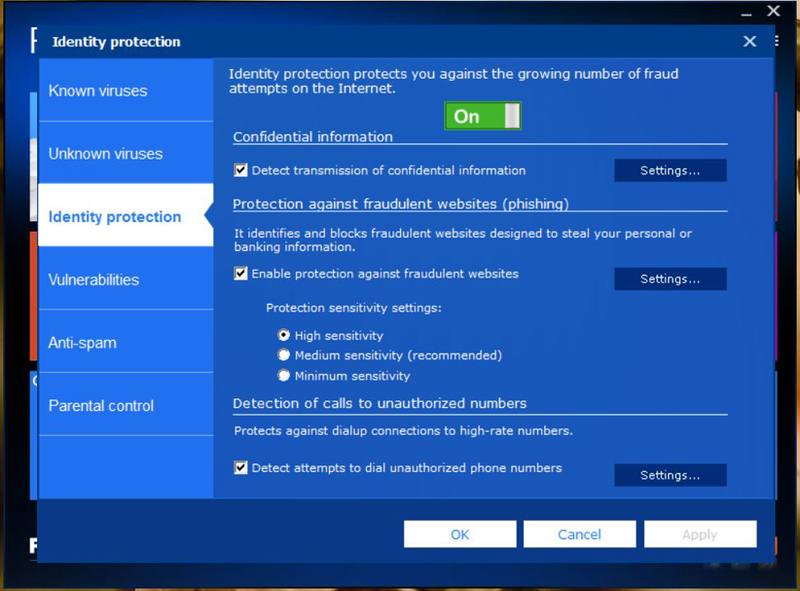 "Protect your PC from threats on both local threats and threats while browsing the web." Have you ever used an antivirus or anti-spyware application that you had to stop and look at for a second because it just looked beautiful? I know it's a weird question, but it is one that you may hear a bit more often with so many developers now making the push to beautify their applications. There has been a lot of emphasis in aesthetics in tech lately and it would not surprise me if more developers hopped on the bandwagon as well. 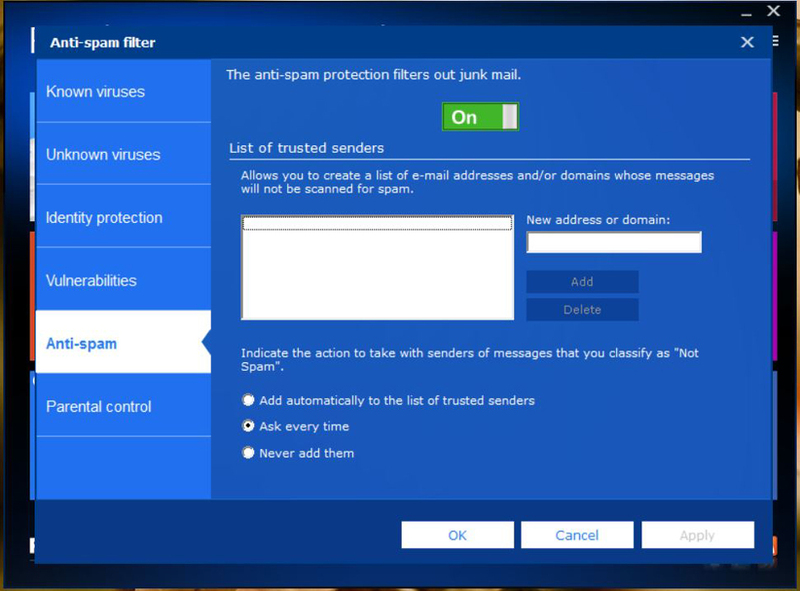 I will admit it is quite odd to see antivirus applications making the push to become more appealing to users, when for so long, we didn't really care how one looked as long as it didn't have ads and worked. 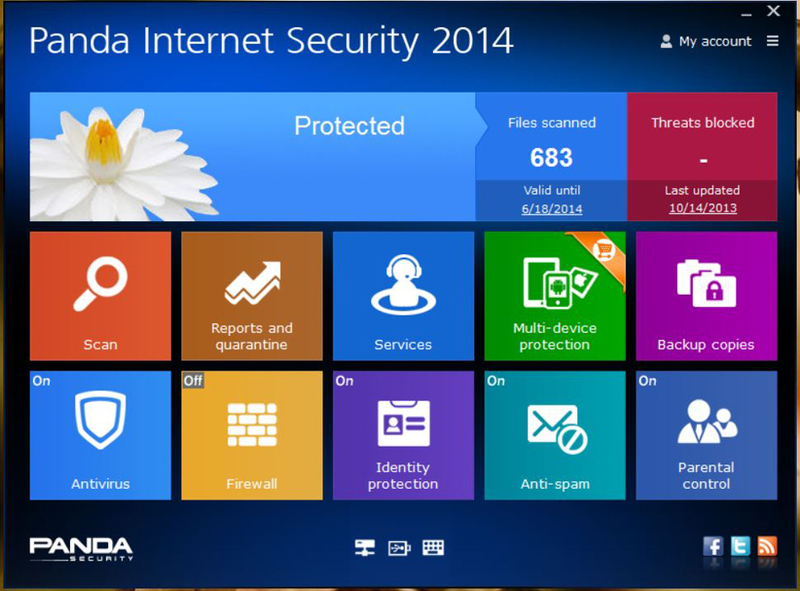 Panda Internet Security 2014 is a beautiful antivirus and anti-spyware application just so happens to work; and it doesn't have ads. 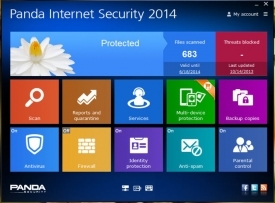 Panda Internet Security 2014 sets itself a part from its competition, first and foremost, with it's graphical user interface. It is indeed eye catching. It has a strong resemblance to the Windows 8 start screen with its flat UI and square buttons. More importantly, however, this is an application that works. It protects your computer from the moment that you install the application. Immediately after installing the application, I noticed that it had already scanned over 900 files on my computer for possible threats to the security of my PC. That's real protection in itself. The application is packed with features and settings that you can tweak to ensure that you are completely protected all the time.